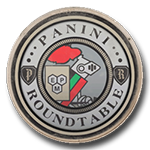 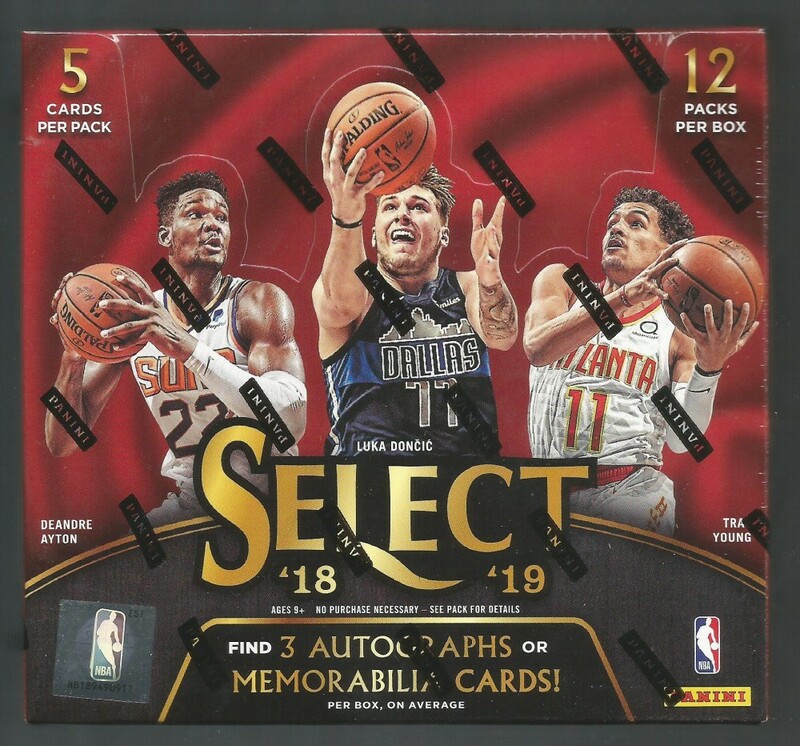 Look for 3 autos or memorabilia, 12 prizms, 10 premier level, and 2 courtside per box on avearge! 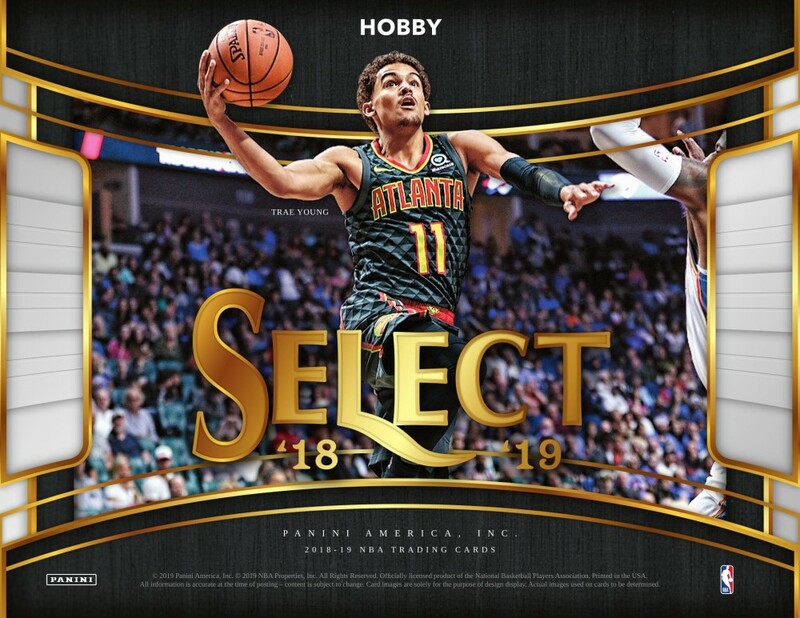 Select Basketball delivers some of the most unique Prizms of the year, including Tie-Dye, Tri Color, and Zebra! 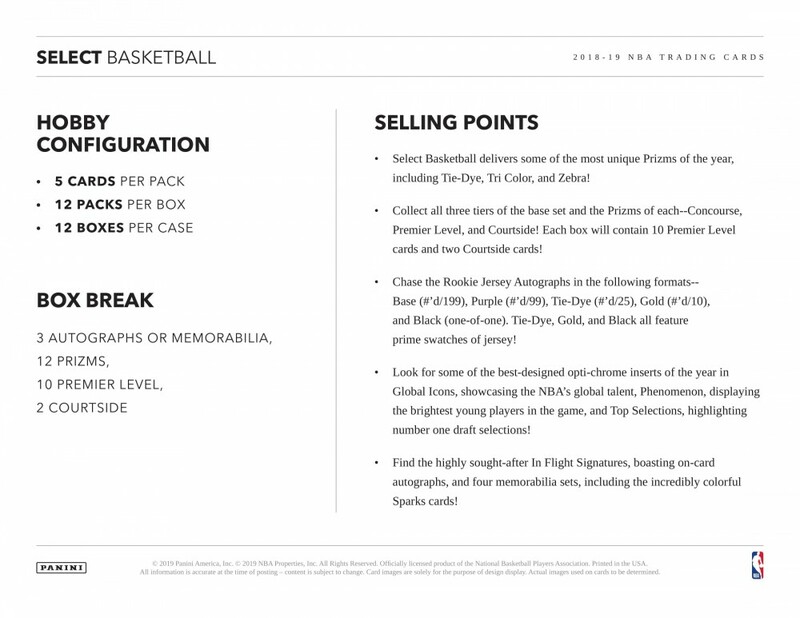 Collect all three tiers of the base set and the Prizms of each--Concourse, Premier Level, and Courtside! 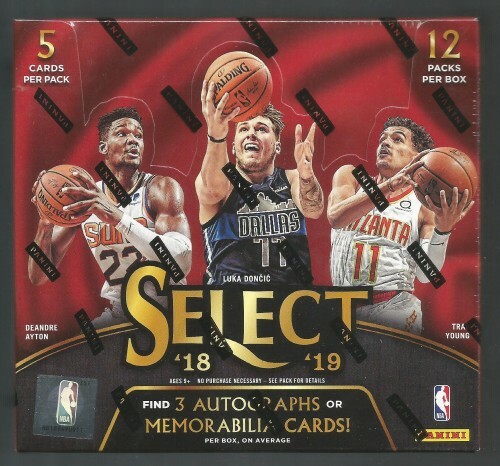 Each box will contain 10 Premier Level cards and two Courtside cards! 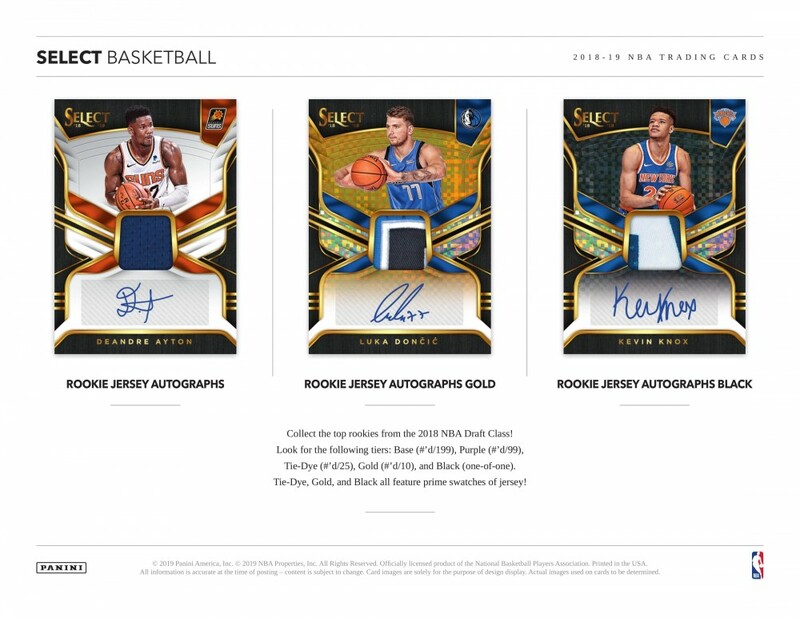 Chase the Rookie Jersey Autographs in the following formats-- Base (#’d/199), Purple (#’d/99), Tie-Dye (#’d/25), Gold (#’d/10), and Black (one-of-one). 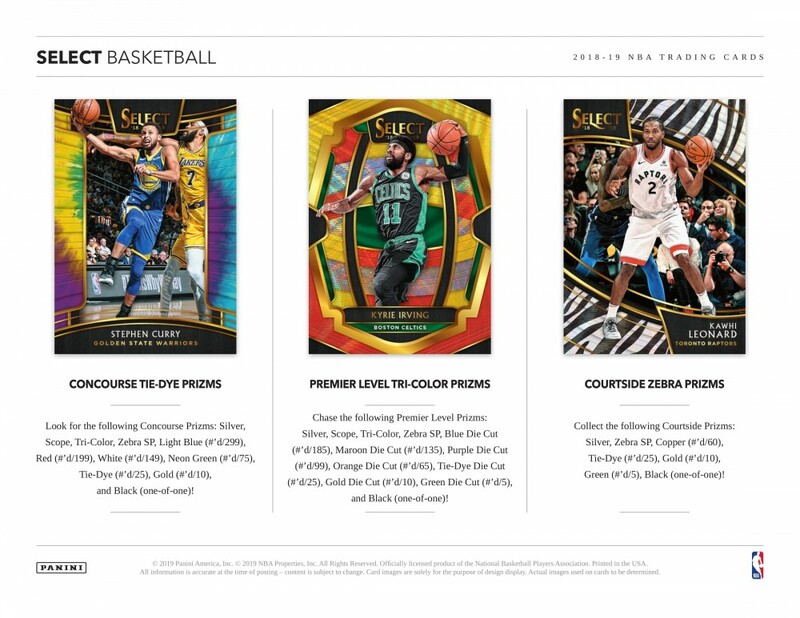 Tie-Dye, Gold, and Black all feature prime swatches of jersey! 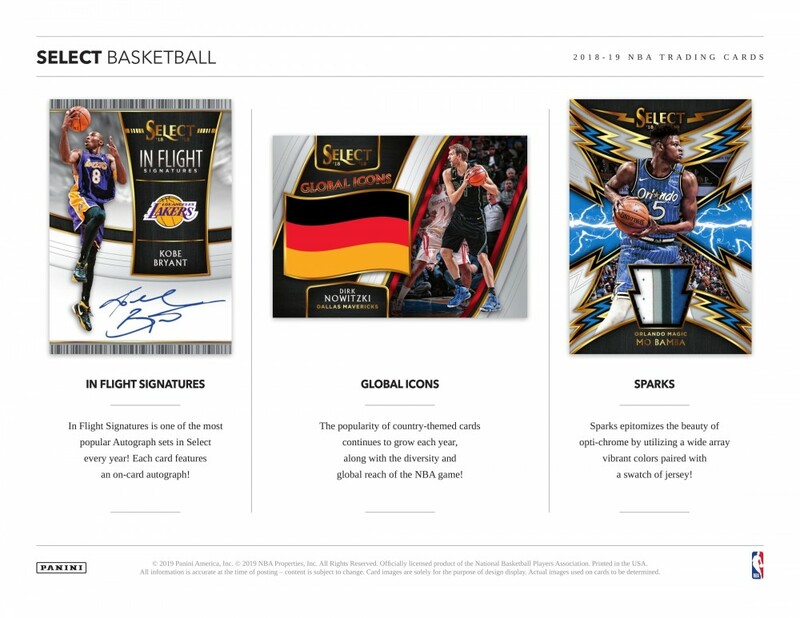 Find the highly sought-after In Flight Signatures, boasting on-card autographs, and four memorabilia sets, including the incredibly colorful Sparks cards!